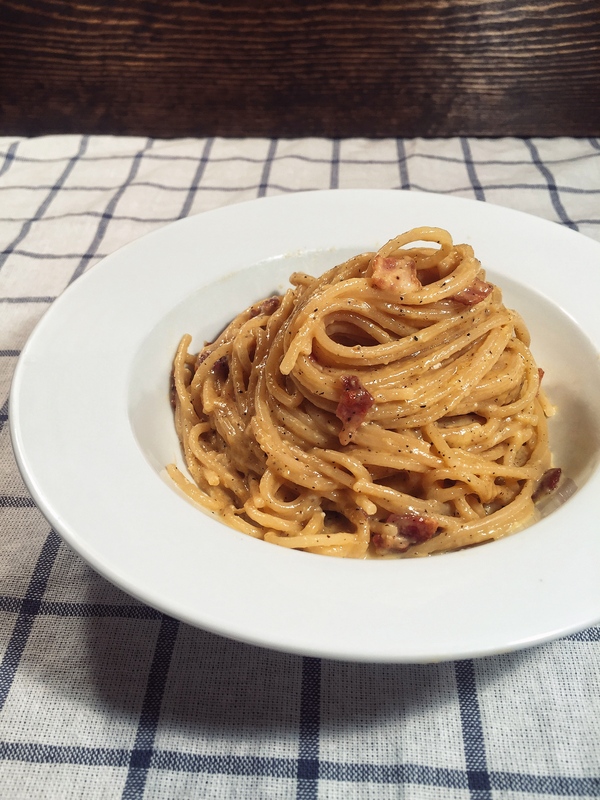 If you ask me what the easiest pasta to make is, my answer would probably be Carbonara. It only needs 5 ingredients, takes about 15 min to make, and it’s absolutely delicious with a creamy sauce made egg, parmesan & pecorino romano. This pasta is so good that I use it as a standardized test for every Italian restaurant I visit, and it is the only pasta that I would make on a daily basis for a quick and delicious meal or snack. Since this dish is originated in Rome, but with some of the ingredients that are very hard to find outside Italy, so I make some recontamination on what to use in the ingredients list.